Meeting Andy Lopata, author of Recommended! 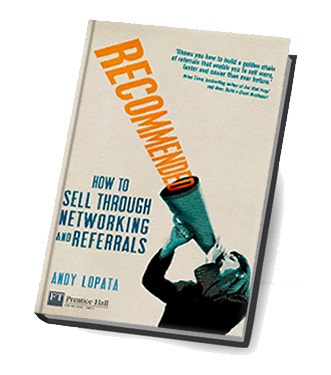 I ran into Andy Lopata aka “Mr Network”, the author of “Recommended: How to Sell Through Networking and Referrals” and made a short video about it. The book does something that I like, it tells us how to stop cold calling and start building relationships when it comes to sales, and using referrals and recommendations, driving your business and ideas, step by step. That is worth a salute!